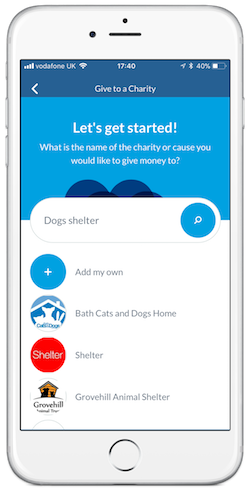 We've teamed up with JustGiving to pull in their directory of 25k+ charities who you can make a donation to within the App. They choose the amount they'd like to give and send it to you for approval! 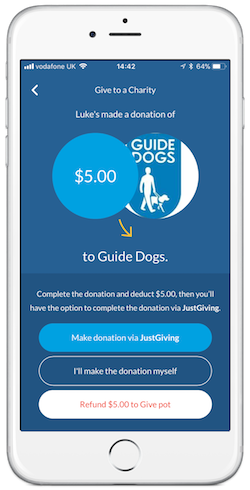 For causes that have been added by your child, you won't receive the JustGiving option, but can still confirm the donation as being made for your child. And if you think your child's not ready to make the donation yet, you can refund the amount back to their Give pot! Your kids and you can reflect on past activity and donations by viewing their Pot History. 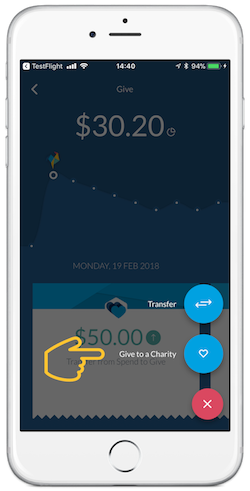 Just tap on the total amount towards the top of their dashboard to access the monthly history. Learn More.